Without them, the planet couldn't support creatures like us. The problem of theodicy—why bad things happen to good people—predates Christianity. 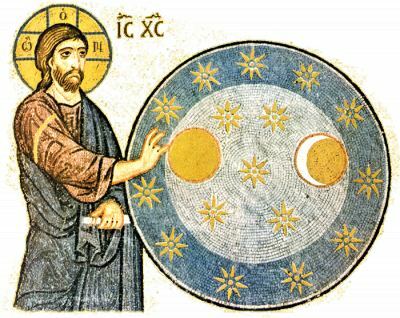 Writing around 300 b.c., the Greek philosopher Epicurus framed the problem this way: God is believed by most people to be infinite in his power and also in his goodness and compassion. Now evil exists in the world and seems always to have existed. If God is unable to remove evil, he lacks omnipotence. If God is able to remove evil but doesn't, he lacks goodness and compassion. So clearly the all-powerful, compassionate God that most people pray to does not exist. This old critique has been revived by Bart Ehrman in God's Problem: How the Bible Fails to Answer Our Most Important Question—Why We Suffer. Theologians over the centuries have responded to questions about the existence of evil by pointing out that man, not God, is the author of moral evil. Evil in this view refers to the bad things that people do to each other. Moral evil is the necessary price that God pays for granting humans moral autonomy. Yet while human freedom may account for moral evil, it cannot account for natural evil, or more accurately, natural suffering. Ehrman's book is full of examples, to which we can add recent tragedies such as the earthquake in China last spring and the 2004 tsunami that killed tens of thousands in Southeast Asia. Christian apologists such as C. S. Lewis have attempted to account for natural disasters by showing how they draw people together, or how they provide moral instruction to the survivors, or how they turn our eyes to God. Ehrman asks, but couldn't God have found better ways to achieve these worthy objectives? Rejecting as implausible and offensive the usual responses to innocent suffering, Ehrman has stopped calling himself a Christian. A fresh way of looking at the problem of natural evil and suffering comes from Rare Earth, a 2003 book by Peter Ward and Donald Brownlee that traces the myriad conditions required for life to exist on any planet. In a sense, the authors—an eminent paleontologist and an astronomer at the University of Washington in Seattle—are discussing the "anthropic principle," which specifies the degree to which our planet appears fine-tuned for complex life. The concept is often used in Christian apologetics to show that our intelligently designed universe seems to point to an intelligent designer. Ward and Brownlee ask: Why do natural disasters such as earthquakes, seaquakes, and tsunamis occur? All three are the consequence of plate tectonics, the giant plates that move under the surface of the earth and the ocean floor. Apparently our planet is unique in having plate tectonics. Ward and Brownlee show that without this geological feature, there would be no large mountain ranges or continents. While natural disasters occasionally wreak havoc, our planet needs plate tectonics to produce the biodiversity that enables complex life to flourish on earth. Without plate tectonics, earth's land would be submerged to a depth of several thousand feet. Fish might survive in such an environment, but not humans. Plate tectonics also help regulate the earth's climate, preventing the onset of scorching or freezing temperatures that would make mammalian life impossible. 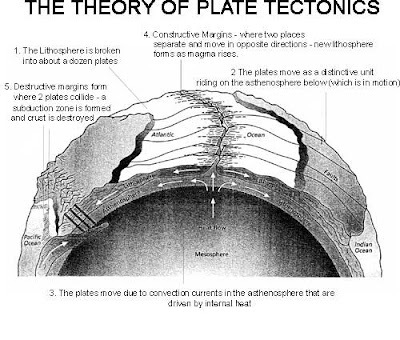 In sum, plate tectonics are a necessary prerequisite to human survival on the only planet known to sustain life. Ehrman and others may not find this convincing. They might ask, "Why didn't God devise a world that didn't require plate tectonics and consequently one that wouldn't have to put up with earthquakes?" In other words, surely God could have made a universe that operated according to a different set of laws. Ward and Brownlee's answer to this is as simple as it is devastating. Such a world could have produced life, but it surely could not have produced creatures like us. Science tells us that our world has all the necessary conditions for species like Homo sapiens to survive and endure. Our planet requires oxygen and a warming sun and water in order for us to live here, and we appreciate this, even though we recognize that people can get sunstroke and drown in the ocean. So, too, it seems that plate tectonics are, as Ward and Brownlee put it, a "central requirement for life" as we know it. This is not to suggest, as the scientist and philosopher Leibniz once argued, that ours is the best of all possible worlds. But ours may be the best of all feasible worlds, at least as viewed from a human perspective. This recognition will not stop people from bemoaning the next earthquake, but it should at least stop us from blithely assuming that the Creator could have done a much better job.